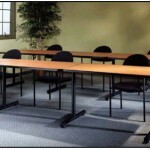 Our top-of-the-line training table, Meeting Plus is not onlyattractive and functional, but extremely durable as well. Features: Three table shapes to choose from-endless configurations.All tables feature integrated wheels in one leg for “wheelbarrow-style” modility. 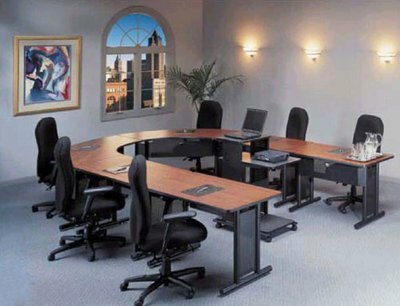 New, improved modesty panel desing adds strength and cable management.Optional ganging accessory allows tables to be securely connected. Finishes:Nebula Gray or Mahogany laminate with Black Paint.